Why did the chicken cross Rock Creek Park? To get to Forest Hills, of course! On the heels of a successful opening in Columbia Heights, Chick-fil-A is excited to once again share our love of great food and amazing service with the D.C. area. 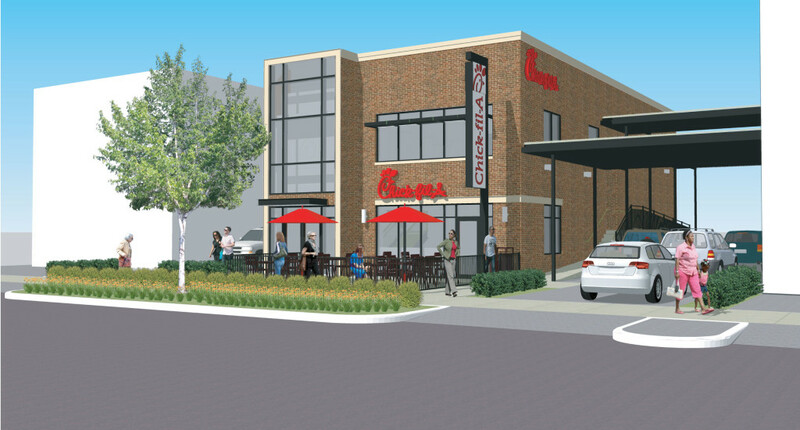 See below for an update on what Chick-fil-A is up to in Van Ness! Chick-fil-A is known for its menu of fresh, hand-crafted food that offers a variety of options for guests. Chick-fil-A Van Ness will use only premium ingredients and make many of its menu items from scratch in the restaurant daily, including salads using produce from local farms. Chick-fil-A focuses on offering a menu of choice, where customers can choose items from our signature Chicken Sandwich to one of our new salads to some of our grilled options. We are also proud to be the first quick-service restaurant to offer a grilled entrée option in its Kid's Meal, making the meal one of the most nutritious in the country. Like all Chick-fil-A restaurants, all chicken served at Chick-fil-A Van Ness will be 100 percent whole breast meat, without no fillers, and no added hormones or steroids. By the end of 2019, every Chick-fil-A restaurant will serve chicken raised without antibiotics. Chick-fil-A Operators live and work in the community in which their restaurants are located, and are highly involved in the day-to-day operations. Our franchise model allows for our Owner/Operators to conduct operations as a local business owner would, making choices that are best for their team members, customers and community. Our Operators embrace an entrepreneurial spirit while carrying Chick-fil-A’s values of strong charitable giving, youth education and other priorities important to the communities in which they are a part. Meet the Operators at surrounding locations and learn about the great things they’ve been doing in the community.